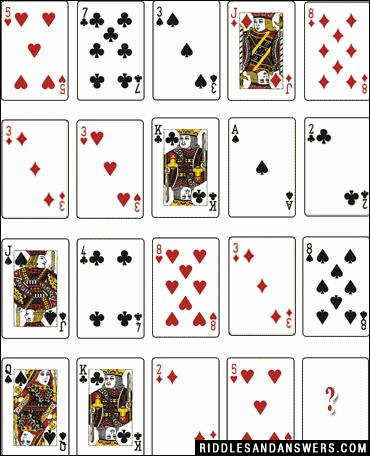 Which card completes the picture? The 5th number is equal to the sum of first four number (recursively until its value <=13). The suit will be same as of biggest card. Since Maximum value is King of a club, therefore, we will get 5 of a club.